Merck in West Point, PA has been utilizing Dycem since 2007. Dycem’s printed CleanZone CZ01 has recently been installed in Building 12 at the West Point campus; which is the largest pharmaceutical plant for Merck in the US, where vaccines are manufactured. Dycem will improve their overall appearance and reduce the cleaning process and will reduce the contamination issues inside of their manufacturing as well as airlocks and entry to the manufacturing. 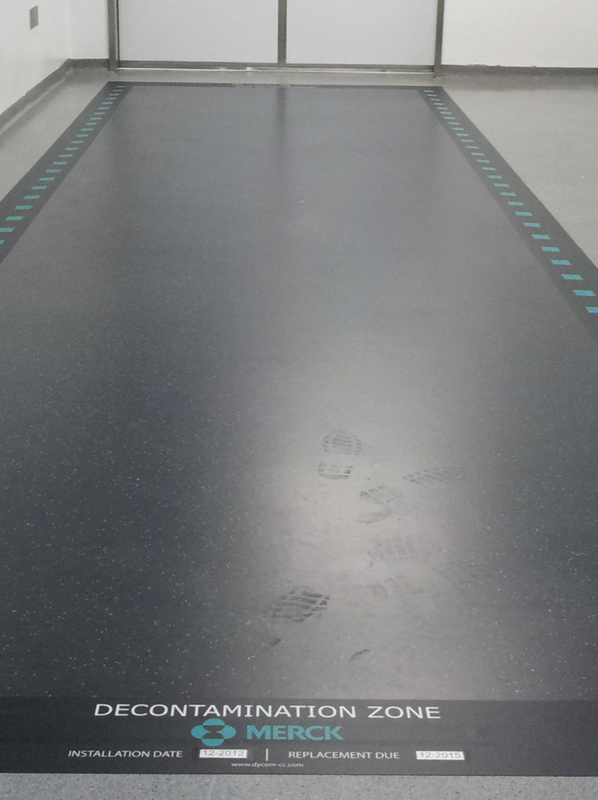 In addition to the installation mentioned above, Merck had an issue with one of the processes that creates a black film on the floors that is not easily removable and creates a long cleaning process and always looks dirty, to combat this Merck also implemented WorkZone CZ02 wall to wall, to ensure the cleaning process within this area is simplified.